Summertime is here so let’s kick-off the season with everyone’s favorite warm weather treat. I shared the recipe for homemade ice cream earlier. 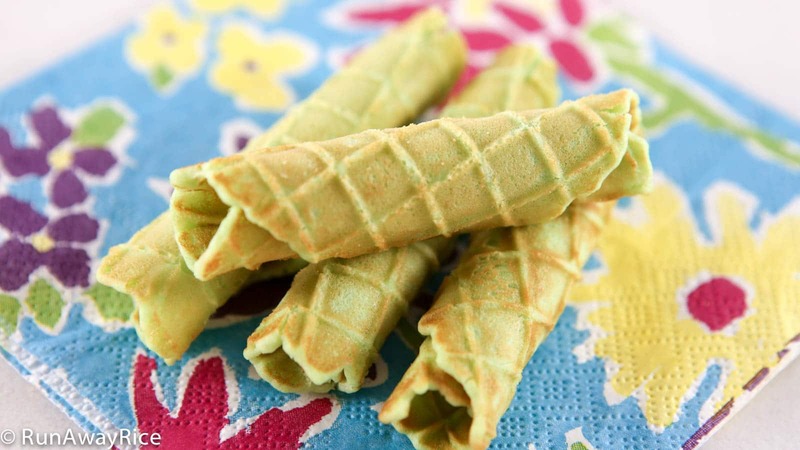 Now to complete the pairing, I am sharing the recipe for Pandan Waffle Cones and Cookies. These waffle cones and cookies are a bit non-traditional and inspired by the Vietnamese sweet treat, Pandan Waffles (Banh Kep La Dua). 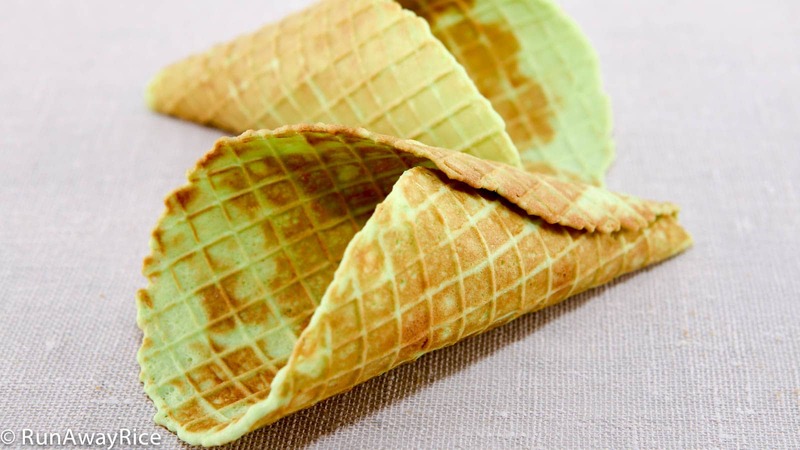 Infused with Pandan essence, the cones have beautiful color, fragrant aroma and a crispy texture that is quintessential to any good ice cream cone. 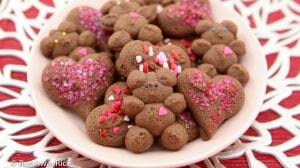 This recipe is very simple and so much fun to make. 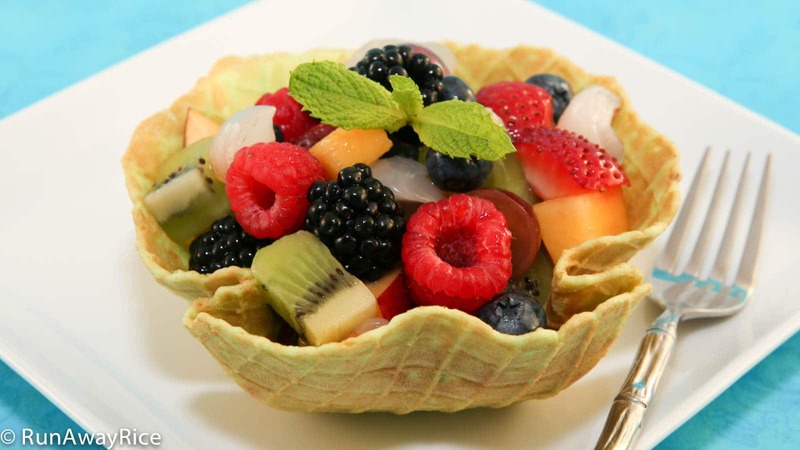 Use this same recipe to make waffle bowls and cookies. Enjoy! You will need a waffle cone maker for this recipe. I have the Chef’s Choice Waffle Cone Express Ice Cream Cone Maker. 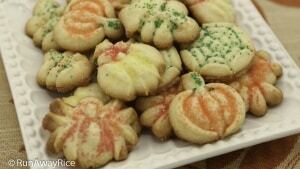 You can also use a skillet to cook the cones and cookies (just like making pancakes). They won’t be as crispy as using a waffle maker but will still be delicious. 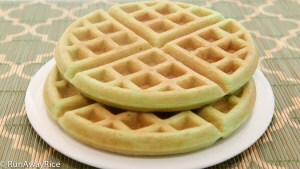 The waffle irons typically have a knob to control the color of the waffle. The higher the setting the browner the waffle will be. Start with a Medium setting and adjust as desired. The cones and cookies are best enjoyed right away. Store any leftovers in an air-tight container. After storing, they may soften. To crisp them up again, warm in the toaster oven for a few minutes. 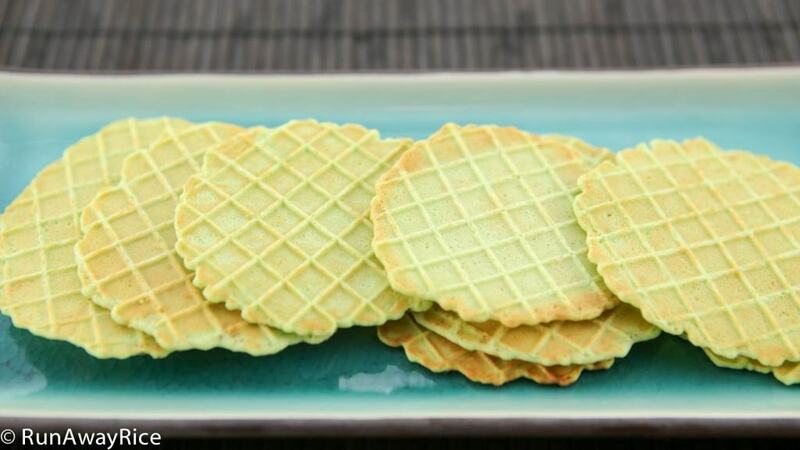 Substitute the Pandan paste with 1 Tbsp cocoa powder for chocolate waffle cones and cookies. Yum! Add the eggs and sugar into a bowl. Using a hand blender, mix on Low speed for about 30 seconds. 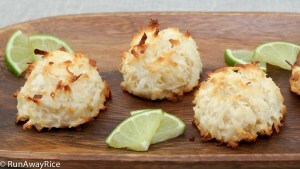 Add the melted butter and coconut milk and mix on Low speed for another 30 seconds. Sift in the flour and baking powder. Mix on Low speed until well-combined approximately 1-2 minutes. Add the pandan paste and mix evenly into the batter, approximately 1 minute. Let the batter rest for 10 minutes. Set the waffle cone maker to a Medium heat setting and preheat. Pour 2 Tbsp batter onto the waffle maker and close the lid. Allow to cook for about 1 minute. Remove the waffle and quicky roll the using the cone maker. Once the waffle is rolled, hold it in place at the seam for 30 seconds and allow to cool. Continue making the cones until all of the batter is used.